French: Psittirostre de Palmer; German: Orangebrust-Koagim-pel; Spanish: Koa Grande. 9 in (23 cm); weight unknown; was largest known honey-creeper. Sexually dimorphic; male was brilliant scarlet-orange on head, neck, and breast, with lighter orange below, and olive brown with orange touches on back, wings, and tail; female was brownish olive, somewhat lighter below. Confined areas on the Big Island (Hawaii). Neighboring species were the closely related lesser koa finch (Rhodocanthis flaviceps) and the Kona grosbeak. Active and agile, compared to the lethargic Kona grosbeak. Had little or no fear of humans and would approach a person who imitated their call or song. Male song a whistled series of up to six notes, each successive note held longer; male call a series of two or three whistles, descending in pitch and each like a long "weeek." Female alarm call was a low, deep single note, difficult to locate. Greater and lesser koa finches and the Kona grosbeak had powerful bills for dealing with tough foods. Koa finches cut open and ate green pods and seeds of their staple food the koa tree (Acacia koa), and had large stomachs for processing masses of vegetable matter. 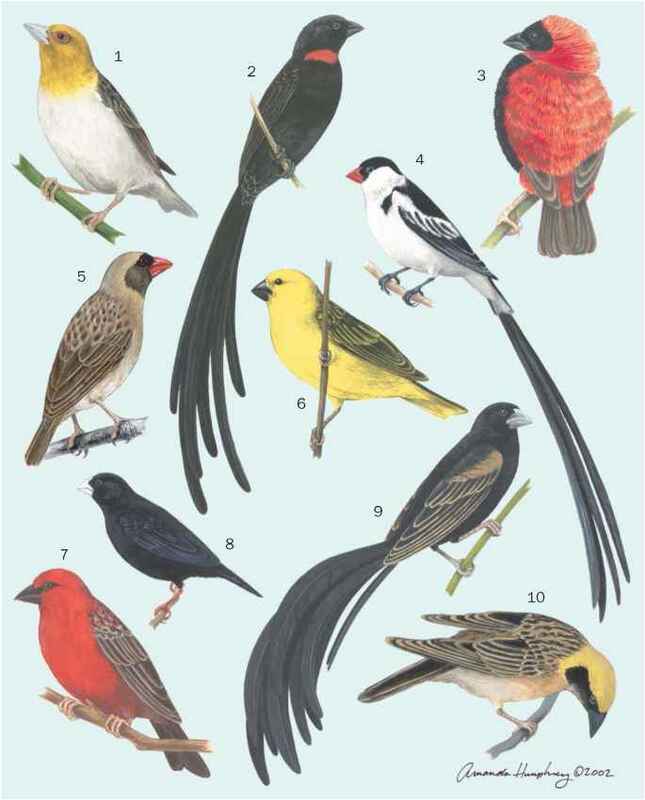 Greater and lesser koa finches, and the Kona grosbeak were extinct within 10 years after discovery in the 1890s. All three species had restricted ranges.